As I was heading out on vacation this week, I realized that I didn’t have a journal or sketchbook to bring with me. In truth, I have a lot of half-used books but I wanted a nice new one! So I rushed into the studio and made one just for me. 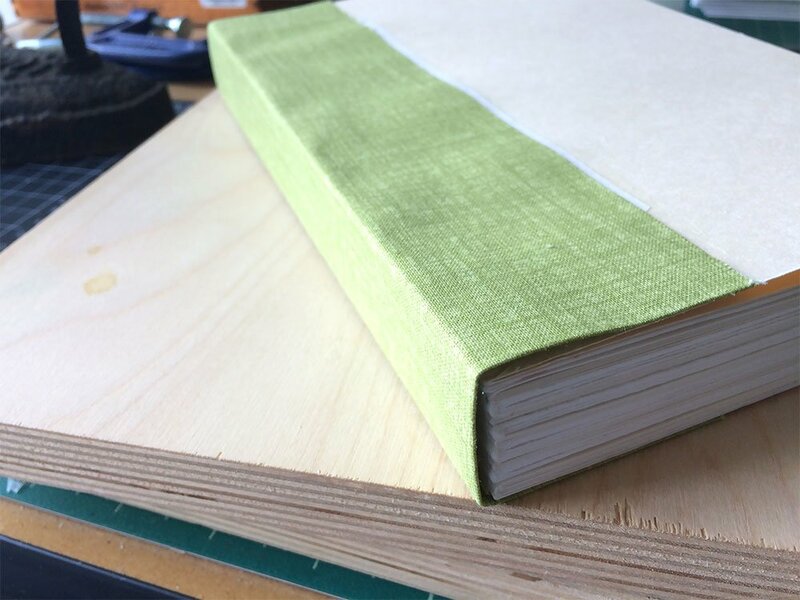 I made a Gary Frost Sewn Boards binding – you can find the instructions here. 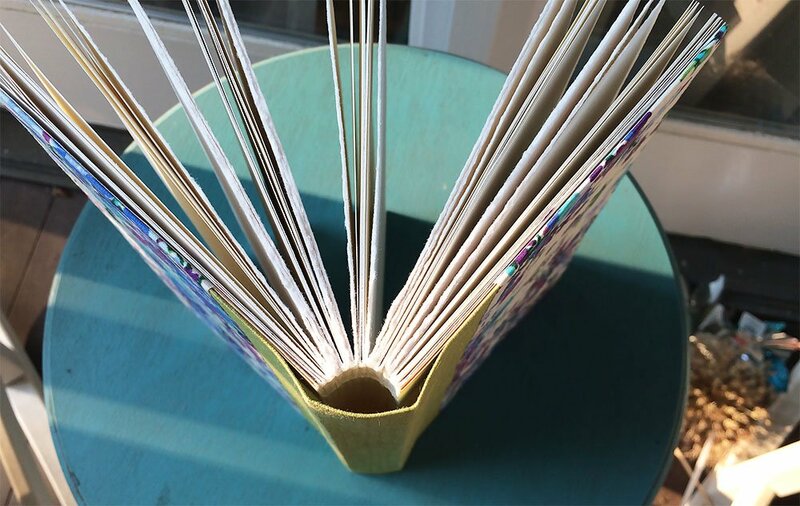 Although my favorite type of books have exposed spines, this structure has a covered spine making it very practical to travel – it’ll hold up well to being pulled in and out of a bag. And it also lays flat when open. 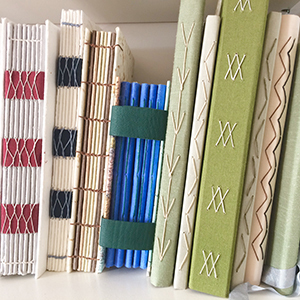 The book block has alternating signatures of sketch paper and watercolor paper, and it’s sewn together with an unsupported French link stitch. 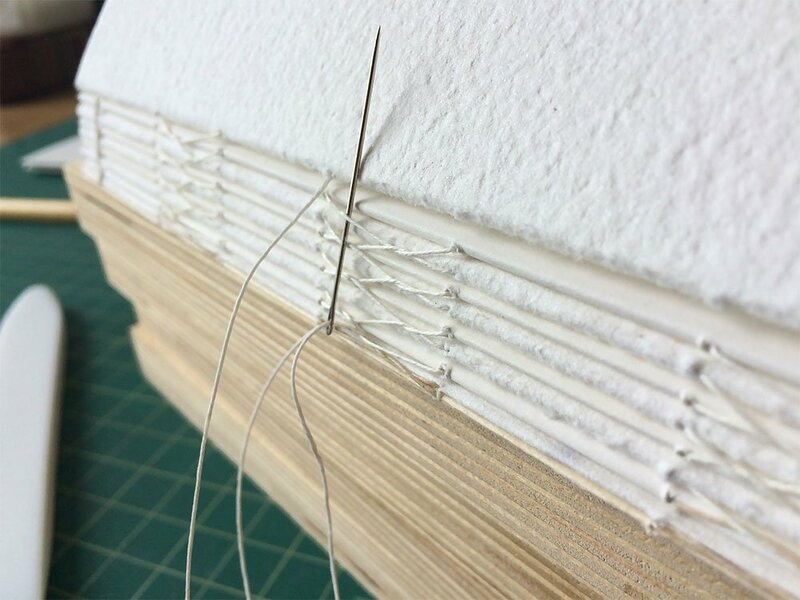 Once sewn, the spine was glued and covered with Japanese tissue, and a book cloth spine added. 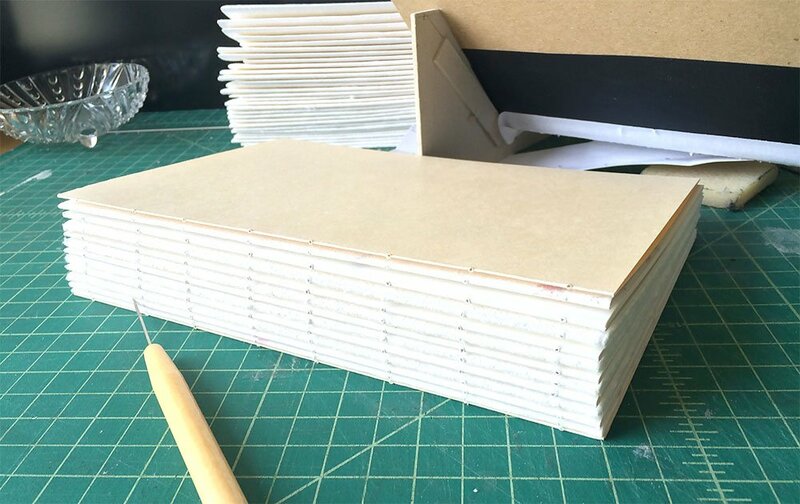 The covers are 3 layers of card stock plus book cloth, which makes them ‘semi-rigid’. 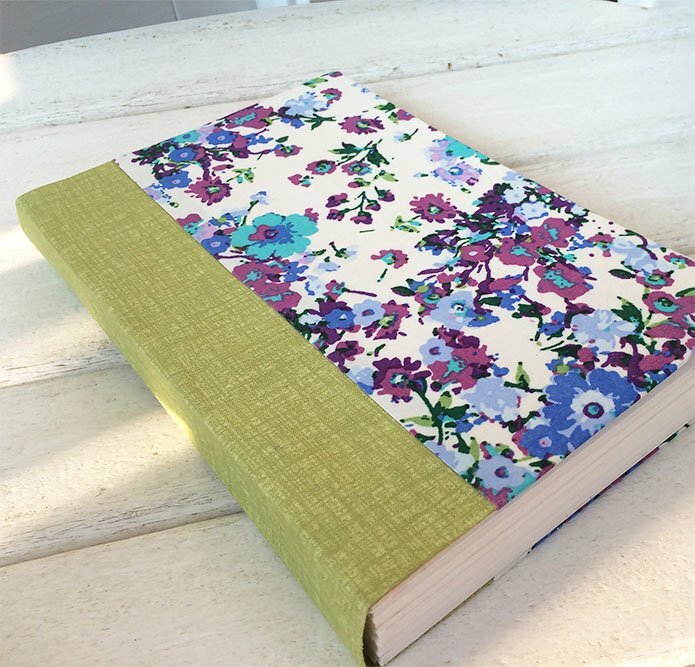 I made the green and floral book cloth myself from quilting fabric found at my local Joann’s. Stay tuned for some posts containing readers’ and students’ books while I’m away. How lovely. I hope you have a fabulous holiday. I love this soooo much Ali! I have made something similar but not so perfect and neat…you can see it at: http://www.facebook.com/scrapbookandart. 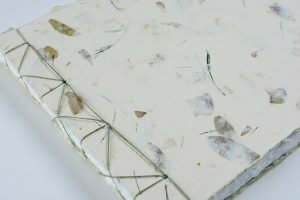 My covers are totally mixed media….